Thanks to this Tesla Model X, a semi driver continues his work. To say that areas of the U.S. are dealing with a cold snap would be an understatement. In fact, a recent "bomb cyclone" on the East Coast has many regions dealing with sub-zero temperatures and lots of ice and snow. This is even true in southern states that don't generally see such weather and aren't well-equipped to deal with it. 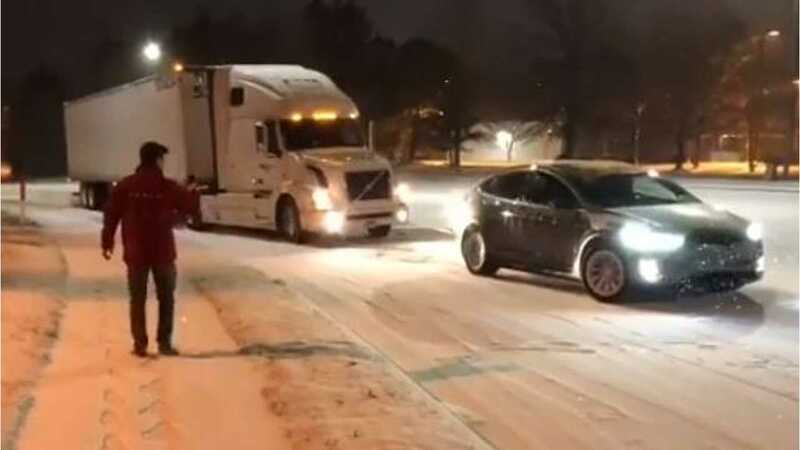 Tesla Model X towing a semi up a hill in the snow! Recently, a semi was stuck in the snow heading up a grade in Raleigh, North Carolina. 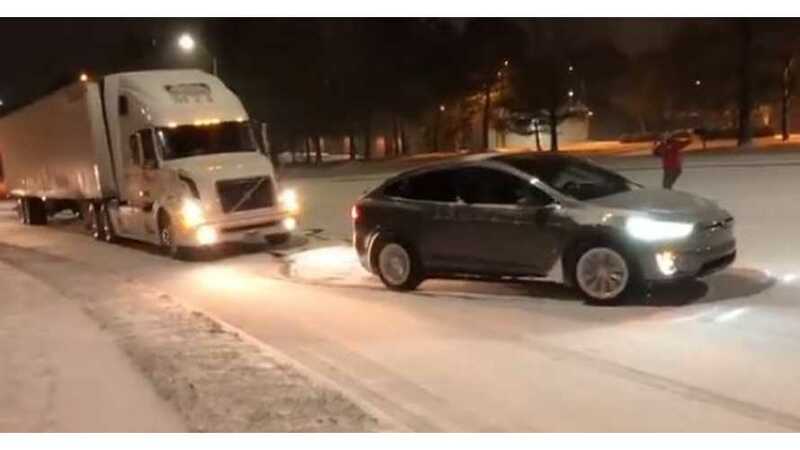 A Tesla employee used his powerful, all-wheel-drive Model X SUV to save the day. The Model X is known for outstanding traction, and due to its all-electric powertrain, it churns out plenty of instant torque. "No power limited at all. That really wasn't hard on the car. I've driven it much harder without heat-soaking." Apparently, based on the comments on Facebook, the Model X was able to pull the semi all the way up the hill, although it isn't shown in its entirety in the video. Nonetheless, this is still an epic feat, especially when considering the weather conditions and circumstances.